Eurpoa Universalis: Rome is a grand strategy game released by Paradox Development Studio. 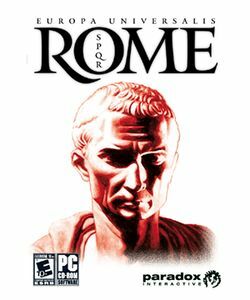 It is a spinoff of the Europa Universalis series, taking place during the time of the Roman Republic from 280 BC to 27 BC and in the area of the Mediterranean and Europe. The expansion pack, Vae Victis, was released four months later on August 27, 2008.